Heather & Little was commissioned to create a one-of-a-kind metal statue for the neighbourhood of Parkdale in Toronto, Ontario. 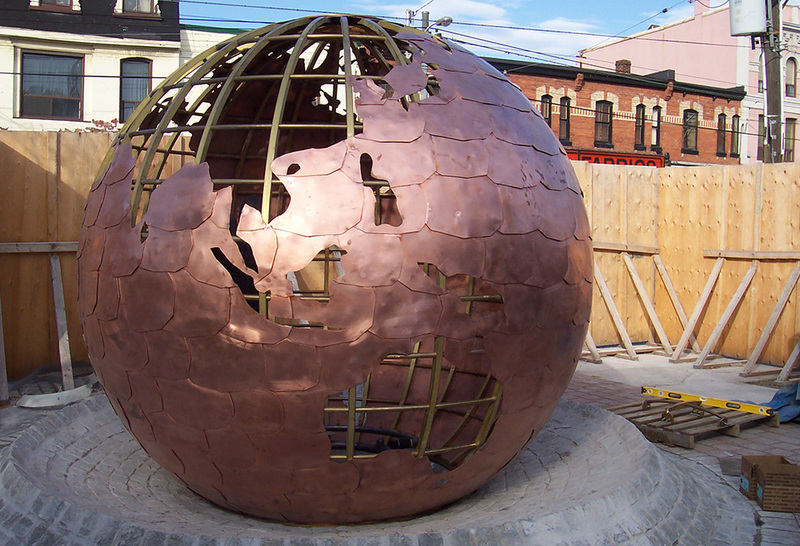 This monument was to be dedicated to world peace and would honour the multicultural community of Parkdale. This project, designed by Peter Dykhuis, featured a scaled version of a globe with an internal water fountain. The final product would be placed in the Parkdale – Queen Street area, in front of the Parkdale Branch of the Toronto Public Library. 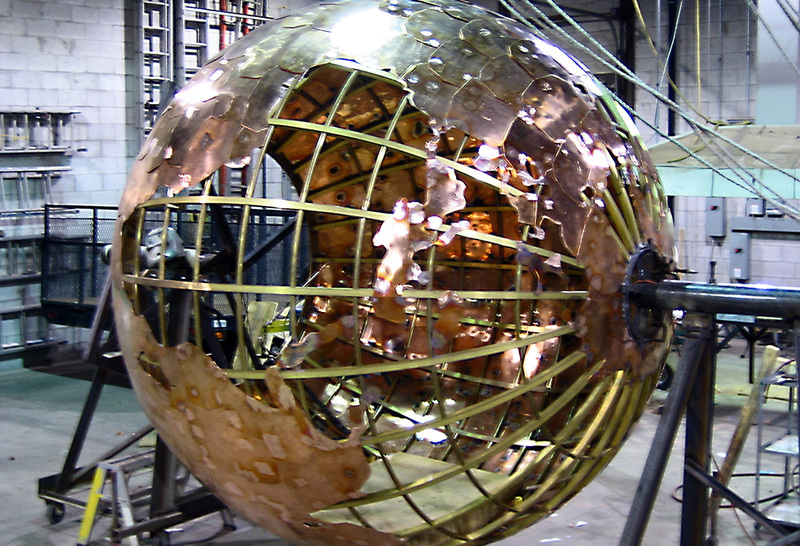 Work on this sheet metal sculpture began by creating a spherical brass tube frame that would support the exterior of the globe, one-inch diameter bronze tubing was used to form a solid support for the copper skin that would be placed atop of it. 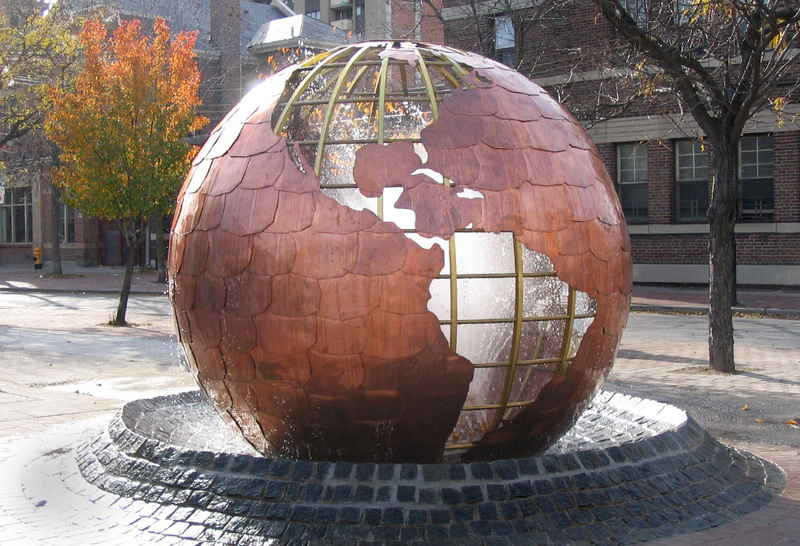 Heather & Little’s artisans used 3/16” plates of copper, hand forming them to create the continents of the world. 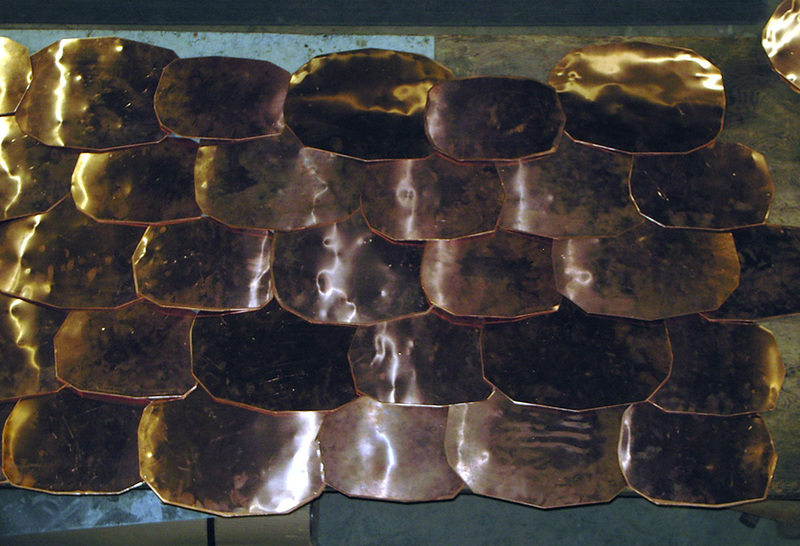 These plates were attached to the structure by hand using silver solder. The monument was completed in our workshop, then transported to its location outside the library. Today the copper and brass statue has a beautiful patina, which it has developed over time since its installation in 2005. 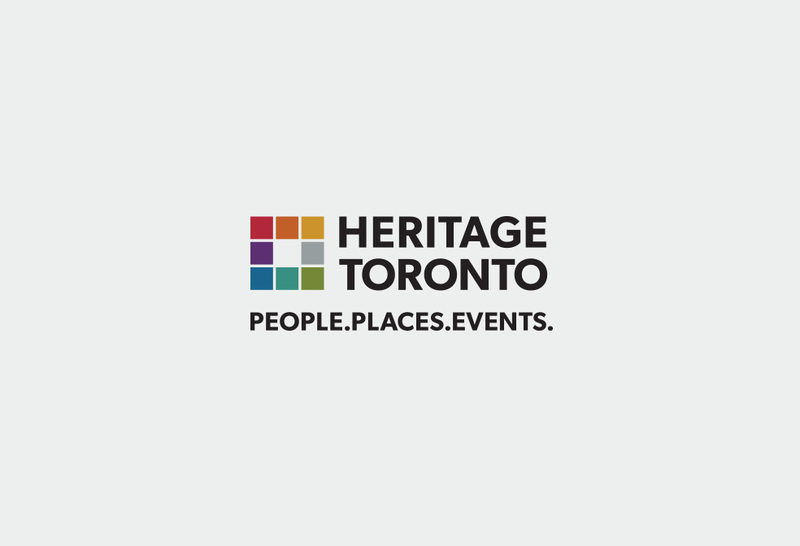 This project received the Heritage Toronto award of Merit. Contact Heather & Little today to learn more about our custom sheet metal fabrication work, or view the images below to find out more about this sheet metal sculpture project.